Happy clients are our greatest reward and accolade. Please check our client testimonials to see what customers have to say about their Brilliant experience. Ron and Gail are like many of our clients on a lot of ways. They care about predictable quality, reliable service and ongoing commitment and support. They want someone who genuinely listens and works creatively to meet their need. They’ve come back for multiple projects and continue to be both friends and advocates. Thanks for sharing your story! “Having previously experienced an ensuite renovation with BSA, we were very happy for them to tackle the task of bringing our 1950’s bathroom & 1970’s laundry & WC into the 21st Century. The process from the beginning to the end was handled with professionalism. They listened to our ideas and requirements and guided us through to a finished product that we are extremely satisfied with. This could not have been achieved without the experienced and competent Tradesmen who worked on our renovation. “We would like to thank the team at Brilliant SA. We are delighted with the results of our Full Home Renovation. Steve was amazing, our kitchen is a delight to use and the fireplace is a masterpiece! Rob was our Project Manager – we could not have asked for more. Workmanship of the various trades was exceptional, the site was kept clean and tidy. In the office Deanne and Olivia deserve a mention! “It is now almost 12 months since the completion of our renovation. We are so happy and would not change a thing a testament to a job well done. 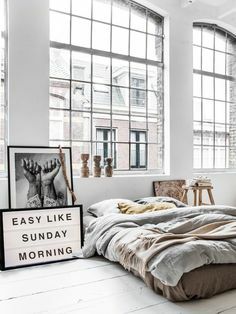 on the walls everything is now perfect. Thank you for your input and for listening to us. Also Rob and the trades, thank you for a job you should all feel very proud of. We probably drove you all a little mad at times. 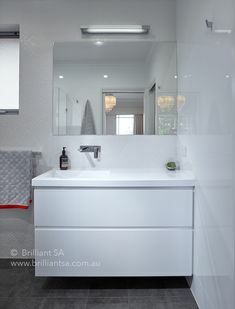 “We had a very clear idea about what we wanted from our future ensuite. We visited Mick and Bron at Brilliant SA and they advised us how our vision could come to fruition. Their helpful guidance and recommendations were greatly appreciated and lead to a perfect result for us. The renovation process was smooth, well planned and organised. We loved being able to stay in the loop via their online program ‘Co-Construct’, which meant that, as a busy professional couple, we could contact any of the team at any time and keep track of the scheduled works. 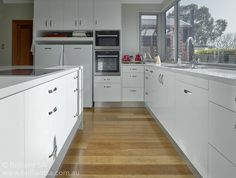 “We are delighted by the top-quality results of our kitchen renovation. 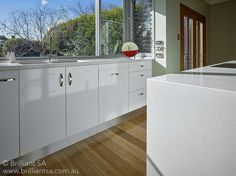 We chose Brilliant SA over other highly reputable kitchen renovation companies because Steve offered a unique design which integrated 2 rooms into 1 large kitchen, providing maximum accessible storage and ample bench space which our previous kitchen was lacking in. 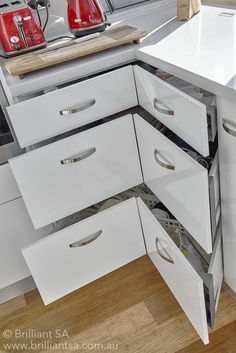 Steve’s plan provided visual appeal by hiding clutter with a nook; though removing the sink from the main bench and placing the ovens in a less prominent position. We also chose Brilliant SA because our renovation required significant building work. Dave was an outstanding building Supervisor. Similarly, his team were all polite, friendly, on time and perfectionists. We relaxed knowing that all the work would be completed to a high standard. 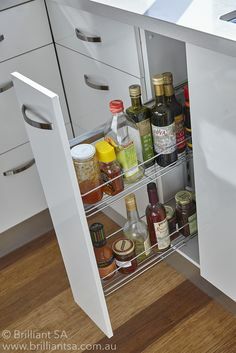 The cabinetry is also of a superb standard. We are delighted by the dream kitchen we now have. “We just want to express our gratitude for the wonderful bathroom renovation that Brilliant SA undertook on our home. We were totally impressed with the entire renovation process. Bronwyn, managed to put our desires into a plan, and then Rob project managed the entire process wonderfully. There was hardly a day went by that Rob did not call in to see that the work had been completed. 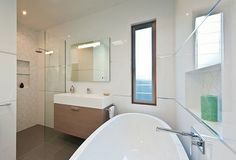 Special mention must be made of the high quality of the workmanship by the various trades that worked on the bathroom. They were all superb, which is reflected in the wonderful end product. “Brilliant SA were simply brilliant in every respect. All of the tradies were friendly, courteous, cleaned up well and did a great job. The Co-Construct application was a fabulous tool – easy to use and maintained daily. Special thanks to Rob who coordinated everything so well and to Bronwyn for fulfilling my design requirements. “Firstly, my sincere thanks to designer Steve Mahlo for his creative talent in transforming my unit into a lighter, brighter and more modern and functional space. Many thanks and gratitude to all the tradesman involved in the renovation. I felt that you all went that extra mile to ensure that I was completely satisfied with the work being done. Also thank you to the office staff who were always friendly, courteous and helpful. “Right from the start we were impressed with your company – including the initial friendly, informative reply from Mick to our original enquiry, and the friendly, courteous times we spent in the showroom. When the construction got underway Michael quickly established a very good relationship with us. His friendly manner, his attention to detail, his control over the standard of workmanship of the contractors and his willingness to listen and address concerns promptly along the way was very reassuring to us. The end result of the two bathroom jobs you did for us…are BRILLIANT. 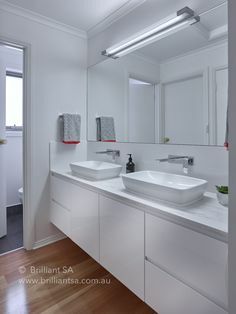 The indoor bathroom is classy, practical, light, bright and has a fantastic feeling of openness. The outdoor one is spectacular. Both spaces have an amazing WOW factor when family and friends open the door for the first time. “After having an amazing extension done by Brilliant SA two years ago, a project completed 1 week before the scheduled completion date, we didn’t even bother to get quotes from other companies when we were ready to do a kitchen and bathroom renovation this year. The designer listened carefully to what we wanted and her first design was superb, so we needed to ponder no further. Brilliant SA only employ polite, respectful, skilled tradespeople – people we would gladly invite over for a meal, so it was a delight to have them working at our home. Our project manager had the most incredible attention to detail and was able to short circuit anything that was drifting off course. He was on site most days and kept us informed of the process and any deviations from the original schedule. The final result is a stylish and very functional kitchen invoking a ‘Wow, that’s an amazing result,’ from everyone, with a similar reaction to the bathroom. “From start to finish, dealing with Brilliant SA was worry-free. We felt confident and in the design, experience and execution of our bathroom. Steve’s design ideas helped us realise what we needed, with simple and practical solutions, personalised to our needs. Once the process started, communication between us and David was so easy and he regularly checked in, explained the details and was always friendly. 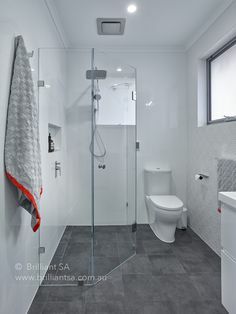 “We write to express our sincere thanks for all Brilliant SA have achieved for us in providing us with bathrooms we are extremely pleased and proud of. Your company name certainly says it all! To walk into our bathrooms is indeed a five star pleasure, with visitors to our home also amazed at what you have achieved. It has been an excellent investment exercise in adding both quality and value to our home. We would also like to thank your excellent Team who have provided high levels of quality work throughout the project and continue with genuine customer service including solid support and back up in times of interruptions/problems with supply and currently with product. To anyone contemplating utilising your Company services and reading this we would say: simply go ahead with complete confidence in the knowledge that you will receive what you pay for, a quality service with integrity. “Being somewhat a stickler with regards the detail attaching to a job of this nature, the quote submission, progress payment and final billing process were found to be head and shoulders above some of the rubbish that’s dished up nowadays and further more smacked with integrity. “I would appreciate it if you could pass on to your team of tradesmen our appreciation and thankfulness. The manner in which they held themselves was not only professional but high in standards as well. Each and every one of them was polite, informative, friendly and attentive to the job they carried out. “Just a note of thanks for the excellent job you have just completed on our bathroom renovation. Just a few of the things we appreciated were: being advised on original planning, advice on the best plumbing ware to buy, the clean and efficient way you carried out the whole renovation, the attention to detail, the professional way in which you went about the whole job, the sub-contractors that you used were first class and we are sure to use them again. When one undertakes a fairly major renovation such as this the last thing you want is day after day hassles and it’s a pleasure to say that we didn’t have one hassle on the entire job. “The ensuite looks so nice! It’s turned out a treat, and wouldn’t have been half as good without your suggestions. One of the big surprises is how spacious it appears to be – we thought it would be a lot smaller. But most of all we love the way it has all gone so smoothly, with Rob letting us know what was to happen every step of the way, and it turning out just as he has said. “The renovation to our bathroom was completed with minimal inconvenience to our family and we are very thrilled with the final result. The standard of workmanship was excellent and all the tradesmen were professional and friendly. “The bathroom shower is looking fabulous! Thank you for sending Livio to us – he has done a meticulous and beautiful job of the tiling. All the tradesmen you had here have been truly caring and professional – they’ve obviously been carefully selected. “We commend you on your workforce, both employees and sub-contractors. Without exception, they were polite and efficient, the quality of work being of the highest order. During our many absences, we had no hesitation in leaving, whoever it was, alone in the house. “We are very happy with the bathroom as it is, and anticipate an impressive completed room when final installations are done. “Now that everything has been finalized and enough time has passed so that we can say the two new bathrooms and laundry have been truly ‘run-in’, we would like to take the opportunity to express our appreciation to you and your whole team for a job well done at every stage. At the outset, the design was tastefully creative and the planning meticulously accurate. We sense you have a reputation for being pedantic with the details, but we are so thankful that you are! Your knowledge of bathroom products and the sheer extent of what is out there in the market was second to none in our experience. You were helpfully unobtrusive in your oversight of the whole thing and instilled us with the necessary confidence in the whole process right from the start. As for the construction phase, it was done on time and within budget and to the highest professional standards. It’s clear that you have gathered some of the best tradespeople around as part of the Brilliant team. They all seemed to be at the top of their game and took genuine pride in ‘getting it right’. We have a brother in law who is an excellent tradesman in his own right and usually highly critical of the work of others, but even he has only had good things to say about the finished product. Before closing, we should also give a special thanks to David Lamond. He is a superb construction supervisor, always calmly appearing just when his input was needed – which we realise doesn’t happen by chance. It might only be a small thing but when the workers on-site are such a happy, competent, coordinated, polite and helpful bunch, it makes such a difference. If we’d known that having a renovation done could actually be a pleasure, we wouldn’t have put it off for so long! “To Mick, Janine, Dave and all the wonderful staff at Brilliant SA; thank you. MICK – You have obviously worked hard to build the company to where it stands today. You and your staff complement each other well. The combination of a builder and designer was the deal sealer for us. We wish you well for the future of Brilliant SA. DAVE – Thanks for keeping me so well informed on the job. Your putting our wishes into action with an even temper was perfect. The suggestions and solutions you put forth were not only spot on, but performed with a minimum of fuss. We really appreciated your organisation, and your commitment to completing the job on time. My staff have even mentioned that they thought I would be more stressed and grumpy than I was during the renovating process. Wow! (Now I don’t have any excuses). JANINE – Your ideas and attention to detail are second to none. Your knowledge on what works matched up with our house and wishes was absolutely spot on. Thank you for making sure we didn’t end up with an orange oompa loompa house. “Thank you for renovating our bathroom. We appreciate the manner in which it was carried out and the choice of tradesmen to do the different parts of the job; all were willing workers who did their part efficiently with the minimum discomfort to the household. We may not have the “jazziest” bathroom in town with all the flashy extras – but one that suits our personalities & house – just a simple one that won’t date. “Many, many thanks for a great job. We are absolutely thrilled with our new bathrooms and laundry, you have lived up to your name – they are truly brilliant! “We are extremely happy with the finished bathroom and we would like to thank you for everything the three week renovation. Please pass on to all concerned thanks for their professionalism and the manner in which they went about their work in our home. “I would like to express my sincere thanks to Brilliant SA on their excellent job they did renovating our bathroom. The workmanship was of a high standard and completed on time. They were clean and tidy and happy to answer any queries we had. “I would like to place on record our appreciation of the quality and high standards of all staff employed by your company.